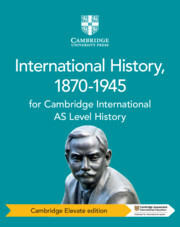 Written by an author with experience writing, examining and teaching, this Cambridge Elevate edition supports the Cambridge International AS History syllabus. 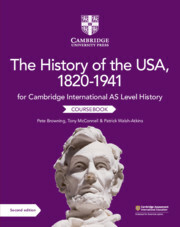 With increased depth of coverage, this coursebook helps build confidence and understanding in language, essay-writing and evaluation skills. 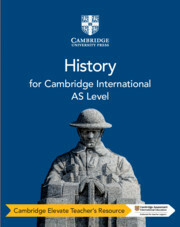 The coursebook also develops students’ conceptual understanding of history with the five new ‘Key concepts’, for example exploring cause and consequence in the Second Sino-Japanese War. In addition, it encourages individuals to make substantiated judgments and reflect on their own learning. 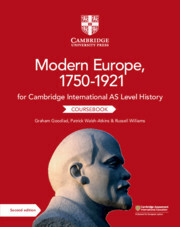 Students can also consolidate their skills though exam-style questions with source material and sample responses.